These fun homepun patchwork aprons are made from our 5 inch assorted charm packs with an extra bit of homespun for the sash ties. 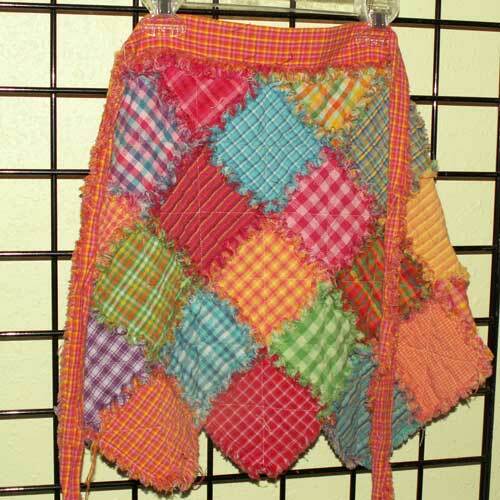 The bright apron was made with a bit of batting in between the two layers of homespun. This gives the aprons a quilted style. 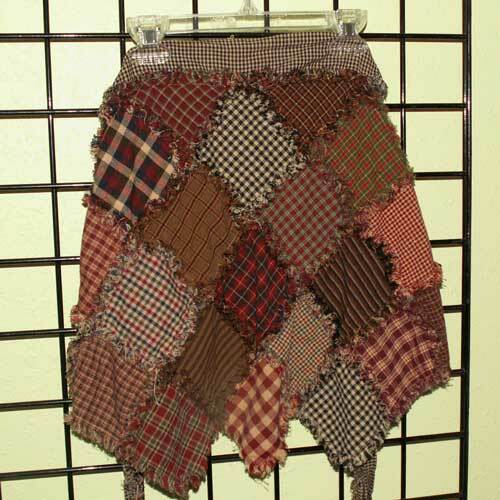 The second primitive color apron was made without any batting.